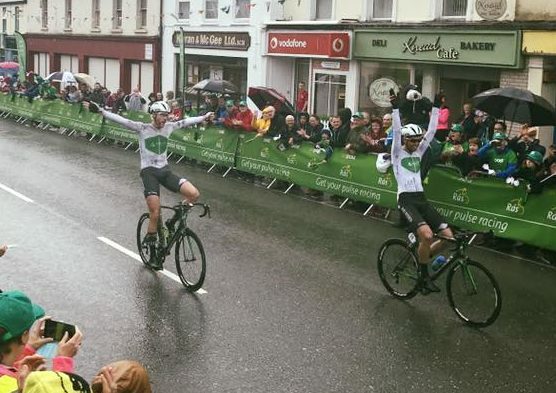 Having won some fantastic elite races on the home scene this year and become a regular on the Irish U3 tea, Darragh O’Mahony enjoyed something of a coming of age at the Rás today. 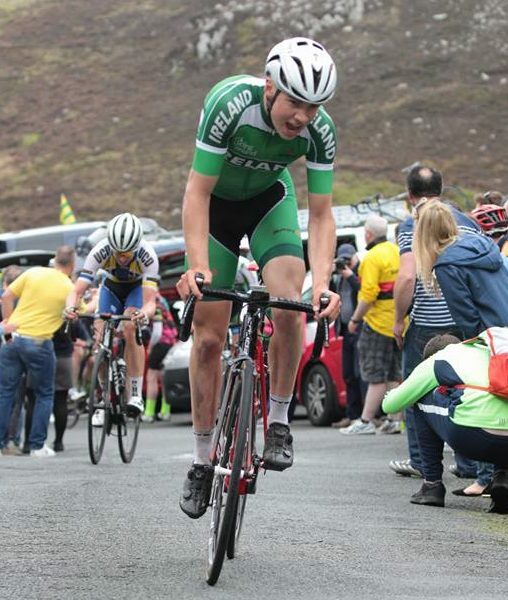 The O’Leary Stone Kanturk man, riding with Team Ireland this week, made the winning breakaway on the penultimate stage. And he went toe to toe with the five full-time pro riders he was with on the long 167km road from Donegal to Ardee. He may have come up short in the end and seen two Dutch team mates take a 1-2 on the day. But as his career is progressing rapidly, today’s performance represents the first time he stepped into the thick of the action in UCI-ranked elite race and looked the real deal. Another man who put in a great ride today, just as he did on last year’s Rás, was Richard Maes. The Killarney rider struck a blow for his team, who saw two of its riders eliminated yesterday, by taking the county rider prize. At the head of the race, O’Mahony would go clear in the winning move exactly half way through the stage. With him were the stage winner from two days ago and Kiwi road and TT champion Regan Gough (Ireland An Post ChainReaction). Daan Meijers and team mate Jan Willem Van Schip enjoy their moment in Ardee after a great stage. Also present were the Netherlands Delta Cycling Rotterdam Daan Meijers and stage 1 winner and former yellow jersey Jan Willem Van Schip. Rounding out what was a really quality small escape was Tilen Finkst (Slovenia ROG Ljubljana). In the end it was Meijers who would win from team mate Van Schip, continuing their team’s excellent Rás performances of this year and last. They both pulled clear of the others in the closing savages and both came up the finishing straight with their arms raised in victory. Gough was 3rd with O’Mahony in 4th place and Finkst rounding out the podium on a day when the breakaway never got more than two minutes. They had to work very hard on the first wet stage of the race and did a fantastic job in making it all the way. The bunch closed in on the breakaway a little by the finish, with the gap just 52 seconds on the line. James Gullen (JLT Condor) holds the race lead with just tomorrow’s concluding stage in Skerries awaiting the riders. More to follow, stay with us.